SafeSlot is the PCIe slot reinvented by ASUS and engineered to provide superior retention and shearing resistance. Manufactured in a single step using a new insert-molding process to integrate the slot with fortifying metal support for an inherently stronger design, SafeSlot is then firmly anchored to the motherboard through additional solder points. 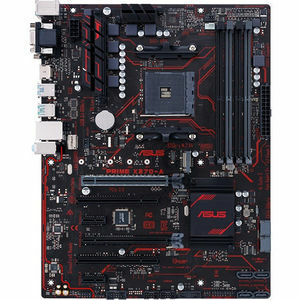 PRIME X370 series motherboards are engineered with industry-leading 5X Protection III, employing the finest components, excellent circuit design, and exacting standards to guarantee the quality and long-term durability of your motherboard. That means exceptional protection and stability for your build - thanks to decades of engineering experience from the world's leading motherboard brand.